The GMO-labeling movement was dealt a major blow last week when Congress passed HR 1599, the Safe and Accurate Food Labeling Act. 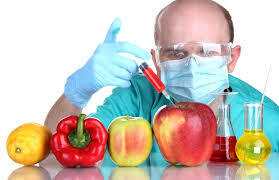 The bill, sponsored by Representative Mike Pompeo (R., Kan.), prohibits states from mandating labels on products with genetically modified ingredients and creates a voluntary certification system at the USDA. Forty-five Democrats voted in favor of the bill. Voting “yes” to the bill were Wisconsin’s Paul Ryan, James Sensenbrenner, Glen Grothman, Sean Duffy and Reid Ribble. Voting “no” were Mark Pocan, Ron Kind and Gwen Moore.